SOAR now accepting applications for June 3 through 27 session. The deadline is April 30. 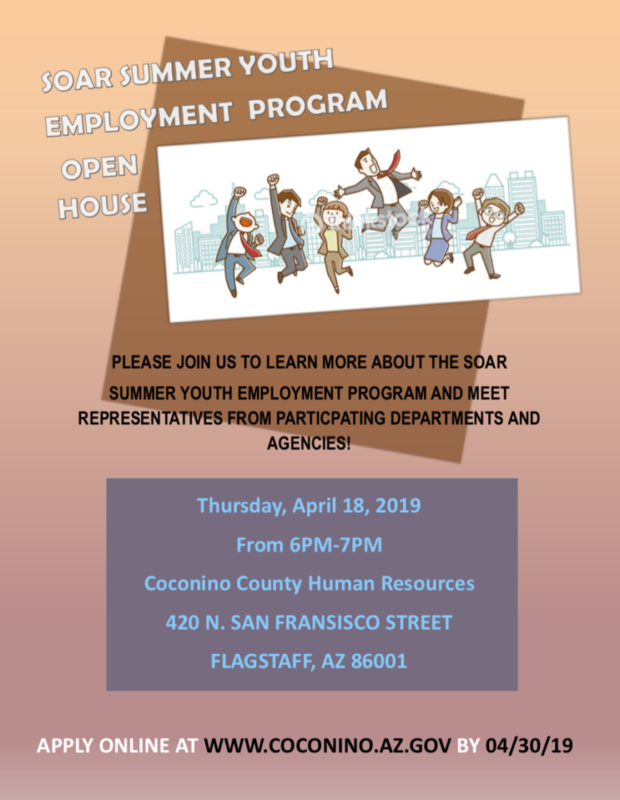 Please join us to learn more about the SOAR Summer Youth Employment Program and meet representatives from participating departments and agencies. The open house will be held from 6 to 7 p.m. Thursday, April 18 at the Coconino County Human Resources, 420 N. San Francisco St., Flagstaff. 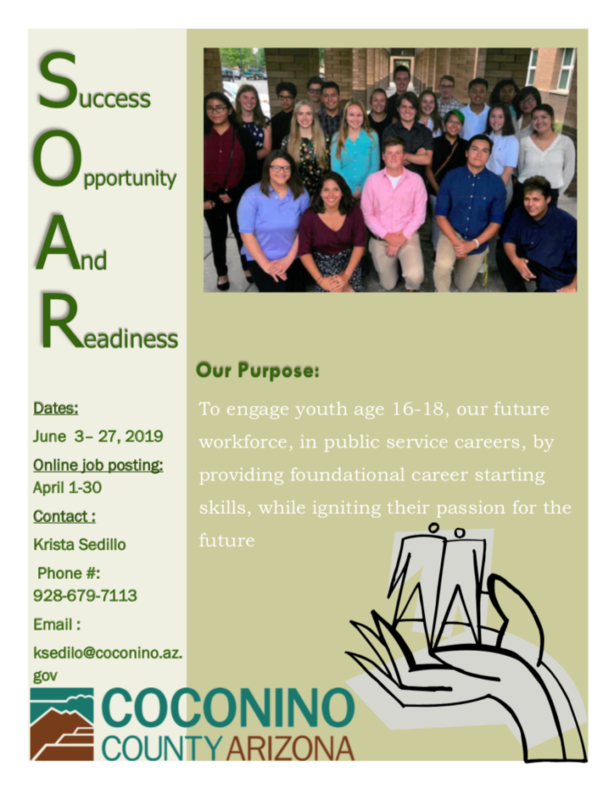 Apply online at www.coconino.az.gov by April 30.